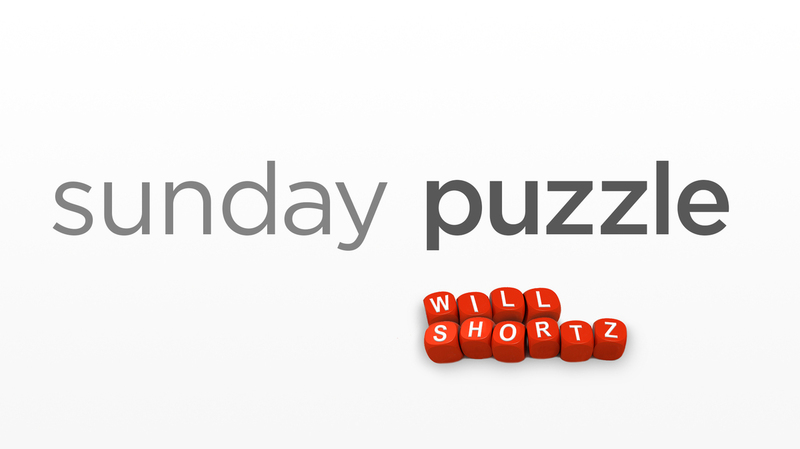 Sunday Puzzle: The Big Mo' NPR's Sacha Pfeiffer plays the puzzle with Weekend Edition's puzzlemaster Will Shortz and Marilyn Rogers of Austin. On-air challenge: This week's puzzle is called "Big Mo'." Every answer is a word or name in which the second syllable is an accented "mo." 9. Prestigious college in Claremont, Calif.
What number comes next in this series: 1 2 4 8 16 23 28 ?? If you know the answer to next week's challenge, submit it here. Listeners who submit correct answers win a chance to play the on-air puzzle. Important: Include a phone number where we can reach you by Thursday, Nov. 29 at 3 p.m. ET.